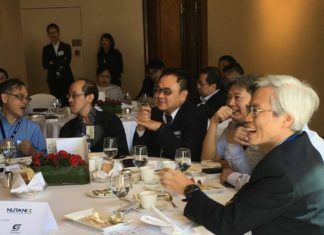 CIO Academy Asia’s “GameChangers Forum” took place on Friday, 16 November 2018 at Andaz Singapore. In attendance were senior CIOs from Singapore’s premier enterprises. 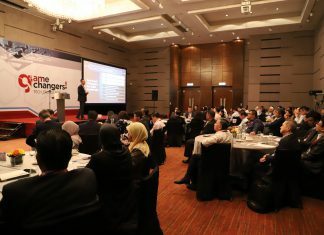 Opening the Forum, P. Ramakrishna, CEO, CIO Academy Asia, said that while all CIOs in attendance have been exposed to multiple conversations and narratives about transformation, dealing with the “D” word — Digital — is always at the forefront of the CIO’s mind. The digital aspect of business transformation is precisely what the Tech Trends and Priorities Survey 2019 addressed. The survey was conducted by polling 70 of Southeast Asia’s top information executives from across 16 key industries/sectors. Technology leaders shared insights about game-changing tech trends which will impact greatly on their businesses. Koh Kok Tian, Deputy CEO, CIO Academy Asia unveiled in detail the results of the study. Four areas were singled out as digital leadership competencies to drive Digital Transformation (DT): Innovation and design, agility, data analytics and cyber-resilience. It was also revealed that Analytics & AI as well as Connected Clouds will have the biggest impact on their business for the next 2 years. Cybersecurity & Risk Management continues to be a critical area of focus for all respondents, they expect to see more implementation activities and greater investments in it through 2019. The results show that the most urgent challenges include changing internal processes and workflows, capacity/resources for capability development and organisational ICT infrastructure. User experience is important as customers expect integrated platforms to access services. New products have to reach customers fast; this means supply chains need to achieve market-leading production efficiencies. Hyper-personalisation will be the only way business interact with customers. Real time insights become business critical. Customers have progressed beyond GUI to embrace Voice, Facial and Digital Reality touchpoints. Vivek Kumar, Assistant Director-General, National Trades Union Congress believes that disruption brings about more opportunities than negatives. In his presentation, he discussed how changing demographics necessitate the intimate knowledge of what expertise people want to be in, and this in turn leads to the motivation to pick up new skills. It is therefore important that companies have a long-term view in hiring talent — not on what they want the staff to do immediately, but also their willingness to learn new skills. The future involves a generation of workers who prefer flexible contracts – the workforce is likely to comprise many freelancers for the ‘gig economy’ and the flexibility they value. Technology is about augmenting human beings and making a positive impact on our lives. It is never meant to replace us totally! Varun Sakhuja, Director – Innovation Management, Mastercard Labs Asia-Pacific, shared his experience in leading the innovation initiatives in Mastercard. According to him, while the majority of technology leaders believe that innovation is important for the long term, and know they should be working with start-ups, only one in three have actually established strategies dealing with this change, so mindset change is still not at the needed pace. Some future trends are emerging: payment penetration will soon rise from 44% now to 60% or more. The common Card and File feature – saved credit cards online – will soon be obsolete. The 5 billion credit card users in the world today will soon be using tokenised cards. Yet, while localised payments will be convenient, seamless and speedy, cross-border transfers are still lagging behind and will be the next target for improvement. Another clear trend is that governments are coming together with banks and fintechs, breaking out from the silo mentality, so the payment experience will be important. Some countries still do not have easy account-to-account transfer services due to stubborn legacy systems in use. Blockchain technology can be employed to enhance transparency and connectivity. Varun also broached the question of how leaders can prepare for the future: The answer is that we cannot do so with any certainty, but we can Co-CREATE. Design Thinking is the key – although it is associated with technology, it is actually useful for solving any problem. This is the way to embrace change, keep up with pace and be ready for whatever the future brings. Embrace Financial Inclusion – You will do well if you Do Good. Voice Interfaces is the next catalyst in digital payments and smart business operations. Forward thinking is the new mantra. Do not just work with big companies but also nurture small start-ups. The relentless focus on harnessing IoT to support RPA elicited the presenters’ takes on how to strengthen IoT security. Using the trust model where IoT devices are verified based on trust signing, horror stories of unsecured access to IoT data will be a thing of the past. Budiman Tsjin, Senior Manager Sales Engineering, ASEAN &amp; Greater China, RSA (a Dell Technologies Business), shared interesting insights into RSA’s research on the next big trend in the IT Security horizon. This include quantum computing and its potential to crack cryptographic algorithms. Dynamic cryptography is one of the possible solutions to make it harder for quantum computing to crack. Research efforts are also being made in Data Science, Machine Learning and other key areas. 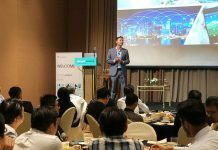 Justin Chiah, Senior Director and General Manager, SEA and Taiwan, Aruba – a Hewlett Packard Enterprise company, gave a snapshot on data science, AI and ML in his organisation’s solutions portfolio. HPE Aruba believes tackling security not just from the outside in, but from the inside out, due to the mischievous, careless and disgruntled insider actors in cybersecurity threats. Through baselining strategies, a zero-trust framework and behaviour analytics, lapses in security can be monitored and pre-empted much more effectively. Justin also touched on the emergence of the experience economy, where personalisation and value-creation are what users are getting spoilt for choice on. Citing the humble coffee bean, he demonstrated how Starbucks can sell a cup of brew at prices symbolising value creation. On the topic of machine learning, Anish Malhotra, Head of Customer Engineering, SEA, Google Cloud, shared how rules-based methods for spam detection are now getting obsolete. Google Photos also shows off how machine learning can extract insights out of visual data – insights that are deeper and faster than what human eyes are able to pull off. One common trend observed among Google customers is the need for agility, for speed to market for apps and features and functions, and to have security embedded in everything they do. Challenges remain where IT departments are not giving the right insights fast enough to support the business. Most of his customers face similar problems with scaling the infrastructure, finding the right talent, and optimising cost. Blockchain technology can be used to decentralise identity management, spreading beyond cryptocurrency deployment into a pervasive tool for authentication and tracking. Natural language processing is also gaining ground as a powerful supplement to machine learning in applications that require voice interaction. The more data being collected and harnessed, the higher the value of machine analysis. While AI/ML and IoT are already available for harnessing, we need to understand how to thrive in the experience economy and to understand value creation in terms of anticipating user needs and wants. Efforts to push machine learning with open source code libraries can reap big rewards in efficiency and agility, but require top in class data warehousing – something that is essential to ML and AI infrastructures. The three keys for optimised machine learning are high quality data sets, large scale compute power (cloud is the answer), and powerful tools and frameworks to help develop the right analytics and models. Before the power of tech can be fully leveraged, a culture of openness in data sharing has to be fostered. The more the data available, the better the outcomes of ML. 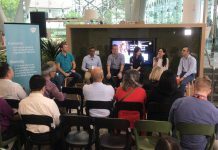 This session brought together the technology expert presenters to further discuss the tech trends that will have significant impact on organisations and tech leaders. Anish Malhotra emphasised that Google open sources its Tensor Flow framework because it cannot do ML magic alone – it needs to integrate end-to-end services into what people already have, to harness the power to give good fast service. The CIO Academy Asia survey reveals that Data Analytics, AI, Connected Clouds and IoT are the top three tech trends. In sync with these trends, Justin Chiah shared that HPE Aruba creates a personalised experience using CRM data, location based data and IoT, to help retail and business customers to have the right info pushed to them at the right time. In industry 4.0, a lot of potential is being realised by robotics, and IoT is the key to keep things running smoothly, securely. One hot topic was the SingHealth cybersecurity lapse in Singapore and the government’s air-gapping policy which could be untenable in the long run. Anish feels that the battle for governments’ trust is ongoing, due to the relentless developments in IoT and newer tech arrive and constantly challenging security levels. Recently Google has started to enable customers to encrypt their data using their own encryption keys and store it in the cloud. This ensures peace of mind because with this ability, it no longer matters where data is stored. At RSA, Budiman Tsjin help cloud vendors with controls to detect incidents, trace the anomalies and quickly prepare for future incidents. The Singapore government’s air-gapping policy puts the onus on solution providers to regain the trust that its safe to co-exist internal systems with the internet world. We also need to understand there is a desensitisation of risk due to too many alerts that humans have to deal with. According to Justin, HPE Aruba empowers the user with ML to offer “augmented intelligence” (what AI should ideally stand for) with tools that help in making fast, sound responses to the right alerts. With mobile and IoT use exploding on the scene to increase the attack surface, breaches are an eventuality. The way forward is defend the system from the inside: to empower the system to lock itself down automatically when the ML prevention mechanism detects threats. 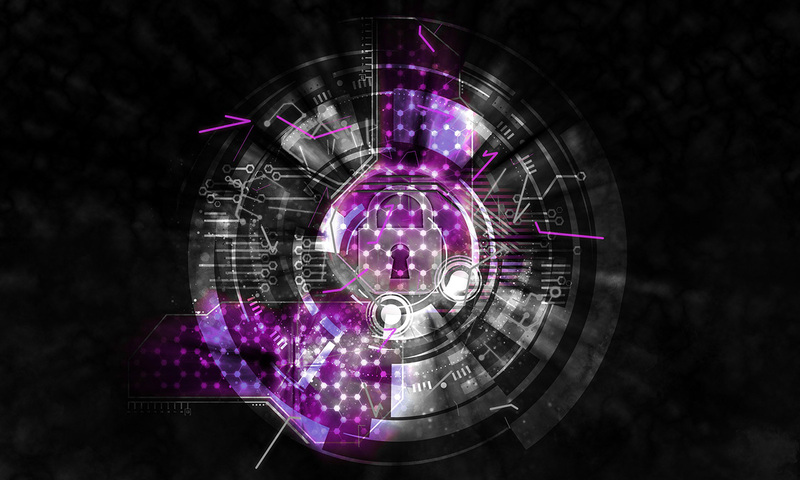 Organisations in APJ are investing more heavily in cybersecurity defences and cyber insurance compared to their counterparts in other parts of the world, and shows that organisations in the region are placing more emphasis on cybersecurity. Transformation is a journey, not an endpoint. The term “digitally transformed” is a misnomer – digital transformation is a long haul journey that never ends. Not all data centres are optimised for the data volumes and compute power machine learning requires. There are advantages to having the right data centre that is built for data ingestion and machine learning. Security is a journey and moving to the cloud is an eventuality – the way forward is to build top security in the cloud and deal with whatever threats that arise. Recently, even Singapore’s Prime Minister has reiterated that the government has started migrating cautiously to the cloud. Some customers have even sold off their own entire data centre to migrate to the cloud. This session draws insights from industry leaders and practitioners about new leadership competencies, best practices and digital strategies needed to leverage new technologies for competitive advantage. Chief Digital Officer of JTC Corporation Siew Yim Cheng shared how she was previously focused on information needs in the business of managing the industrial real estate of Singapore. Now with Smart Nation digitalisation, Yim Cheng affirms that government is also ‘cloudifying’ their on-premise applications . As they map out the vision for digitalisation, the concept of fighting from the trenches is apt, as the government has to link up with the ground. Internally, they have to connect things that are not in the cloud to those that have migrated, and ensure that security is foremost – just like digging trenches to secure oneself while battling challenges. Even as the Singapore government embraces the cloud, Yim Cheng feels that a lot of legacy apps need not move to cloud, the key is the data that has to move. Her learning point for the apps in the cloud is to focus on the secured connectivity to the apps that are not in the cloud. Ramesh Narayanaswamy, Group CIO &amp; COO of CIMB Group felt that the tech industry is fragmenting the business world. Aside from the talent conundrum and security challenges, there is a “non-convergence” issue in the tech industry, which results in inefficient problem resolution. His idea of “non-convergence” was hyper-specialisation and lack of cross-domain interaction and knowledge sharing, which results in siloed behaviour and divergence of goals across the infrastructure stack. Ramesh implied there is a need for multidisciplinary domain knowledge to offer a convergence of skills that can solve technology problems more efficiently. For a glimpse of disruption in the shipping industry, Brendan O’Neill, Director of IT Services, Seaco Global was asked about the concept of the learning (upskilling) and robotic process automation in digital transformation. He felt that people are fearing for their jobs and are now hungry to be continual learners. Budget constraints for people development are a concern in the survey results, but that should instead be a priority. If people are anxious about tech they won’t use it and won’t learn well. So management must be transparent about why they are doing digital transformation and causing job redesigns, and show that they are eager to help staff adapt with a learning mindset. For Seaco, moving onto the cloud has completely transformed IT in terms of structure and function – it is now self-contained and self-reliant with greater savings and agility. It is now second nature to employ cloud and other organisations should not be resisting such changes. One point about reluctance to migrate to the cloud was regulatory hurdles based on data security concerns. Some businesses are more exposed to the regulatory frameworks of different countries – how will they ever move to cloud? Yim Cheng gave hope that the Singapore government is cutting down on regulations due to their own learning journey. Brendan felt that they now invest less time on security with cloud than before when they were on premise. This should allay the company’s security worries. Ramesh feels governments are also finding their way about tech because politics are high stakes. In the next 3-4 years, he feels tech should be more converged to help governments have more trust and relax their regulations. Adopt the mindset of “setting your own bridge on fire” — self-disruption to incite and pre-empt change rather to be forced to react to change. The risks of not changing are much worse than mandating change and facing problems head-on. The choice to change does not rest with IT alone but a top-down business decision to change. No real conclusion was reached in the discussion about operating in a very disrupted world, but the tsunami of change needs problem-solvers and movers … so leaders in technology will be less in peril. The closing panel for the day featured tech and industry leaders who shared their perspectives on fostering an innovation culture and driving business agility. With the growing digital economy, organisations’ digital strategies are essential to bring about transformation. In terms of agility, Eugene Yeo, Group Chief Information Officer, MyRepublic felt that it should come from three layers: people (right attitude and mindset), parallel processes (time is precious), and technology (open source and scalability of the cloud). Vincent Martin, Chief Operating Officer, iVideoSmart, emphasised the importance of innovating for the user and that this will translate into agility based on customer data and feedback. In the striving for cyber resilience, Eugene believes in inculcating more awareness. People in the organisation can be the weakest link. This opinion was echoed by Vincent, who also felt that security is additionally constrained by regulations, especially with our reliance on the security of the cloud. However, people can be the assets too. Eugene found it hard to get a person with all the skillsets that his organisation needs, hence he is willing to train if the talent is not afraid of failure and is willing to take risks. Vincent suggested that such a culture of risk-taking – and therefore a growth mindset – can be inculcated slowly: get the success first in your home country, for example, and then slowly expand to the ASEAN region. Howie Lau, Chief Industry Development Officer, IMDA Singapore, was heartened to see pockets of risk-takers in startups recently. He said the government’s Industry Maps is a prescriptive method to help companies who want to transform but do not know how to. Both Eugene and Vincent agreed that Artificial Intelligence (AI) is the endeavour they would like to take up in 2019. Even though AI is not mature, it is important to get ahead of the game. Howie is prepared to work more closely with the industry to engage them in AI- and future-tech-related conversations. This will involve offering support in terms of infrastructure, a role that the IMDA can play, for example. The Forum was highly interactive, not only were the delegates interested to hear more about the state and proposition of the game-changing tech trends, they were also open to share their own concerns and ideas. The half-day programme ended with a networking lunch. Creativity is something you are expected to have. Innovation will be better when it is a vital need; risk-taking will result in innovation. Incentives and not penalties should be given so that people are willing to take risks. This will result in creating the right growth culture. When we target need, think of the user, and innovate for the user.